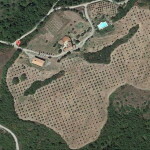 4 bed Tuscany Villa for sale in Italy with pool and large garden. 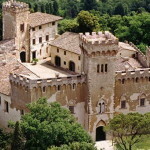 On the edge of a small town near Casole d’Elsa in the province of Siena, a good central position in Tuscany making the majority of major towns and cities no more than an hours drive, Town centre with services is a few minutes walk. The villa (restored in 2007) is a three-storey detached building, approx. 120 sqm – 1,291 sqft. Interiors, lit by led spotlights, are classical in style with terracotta and ceramic floors, masonry arches and wooden finishes. 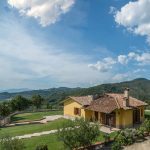 This Tuscan villa has a small garden on the front and a large garden plot (6,500 sqm) at the rear with 10 x 5 m swimming pool, surrounded by hedges and fitted with a wooden solarium. Finally, there is a private parking space for 3 vehicles. 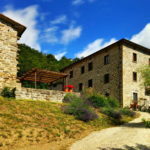 The property is ideal for use as a year-round Italian home or due to its excellent central location for holiday use. 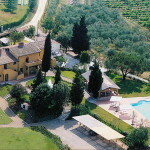 Excellent restaurants, horse riding, walking and trails are nearby as well as the major Cities and towns of Tuscany.